Hello everyone! As I am sure you have either heard, or read, my mother is currently in treatment for lymphoma. She will be having a stem cell transplant in the next few months and is receiving chemotherapy right now. She has had a lot of people extending kindness to her and I wanted to make her some special thank you notes to use during this time. I used my Cricut to cut the ribbons from the Pink Journey Cricut cartridge. I also used the Plantin Schoolbook cartridge to cut the ovals. I also added some stamping for the sentiment and background on the oval. And of course, they wouldn't be complete without a rhinestone in the center of that bright green ribbon. Lime green is the color for Non-Hodgkins Lymphoma awareness. I thank all of you for your kind words and support. It will definitely be a long several months. My mom is a very brave woman. This is her second time battling Lymphoma. Yesterday, my mom shaved her head. 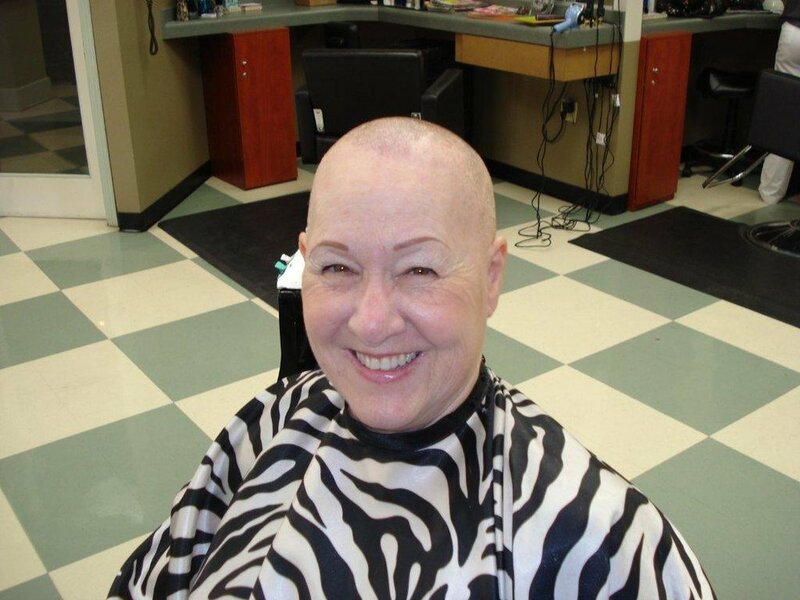 Her hair was falling out at a very rapid pace from the chemotherapy and she decided to just get it over with and shave her head. I have posted her before and afters here. My mom is also the honoree for this year's Leukemia Lymphoma Team In Training marathon team. They are training to run a marathon in San Diego later this year, with the hopes of raising money for Leukemia and Lymphoma research. I hope you are all having a wonderful week. I have had a pretty good one. Tomorrow is Opening Day for Little League. My son is ready to play ball this season. And I am ready to be his biggest fan!